thoroughly enjoyed his new Martin 0-28K guitar. (a total of 68 years, from the ages of 25 to 93). recalled in 2002, "Pappy used to keep the guitar under his bed. He never really learned to play it very well. But he made a cassette tape of himself playing it". 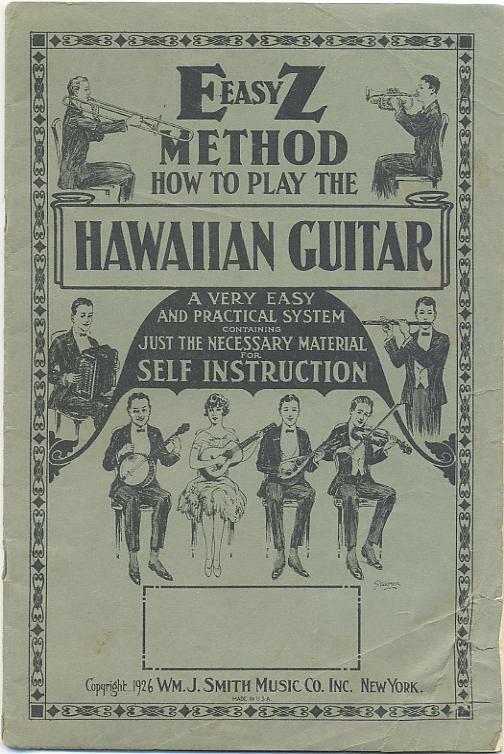 The guitar came from the Martin factory set-up to play in the Hawaiian style. by sliding a Hawaiian steel bar up and down the strings. from the teens through the forties of the twentieth century. However, by the 1950s and 1960s, the style waned. 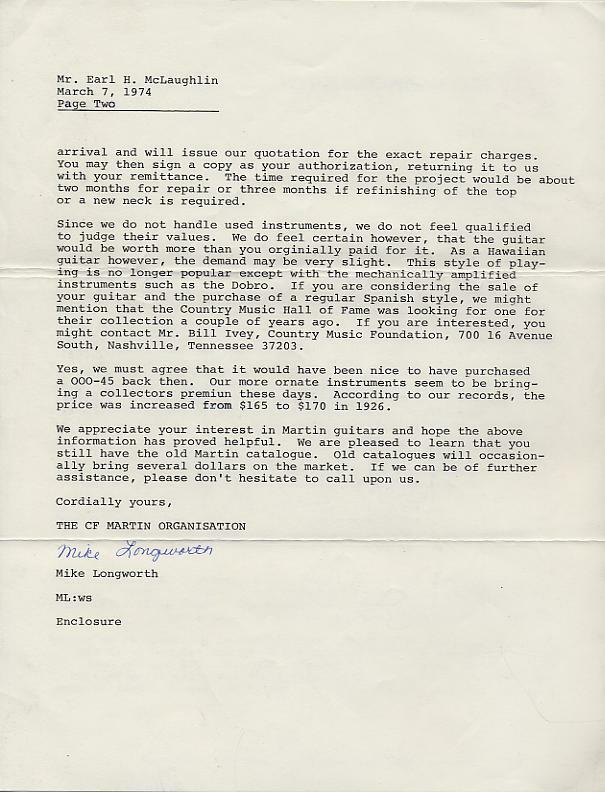 In 1974, at the age of 72, Earl wrote to C. F. Martin & Co.
to the conventional "Spanish" style of playing. 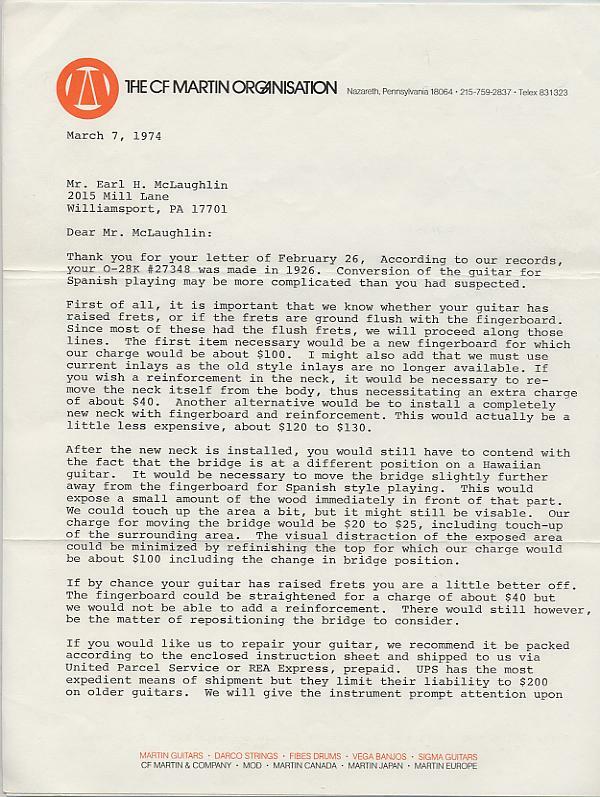 (Indeed, as Longworth states, whereas the standard scale length on a Martin "O" size guitar is 24.9 inches, the scale length on Earl's 0-28K is 24.75 inches). Evidently, it crossed Earl's mind to pursue the possible sale of his guitar. 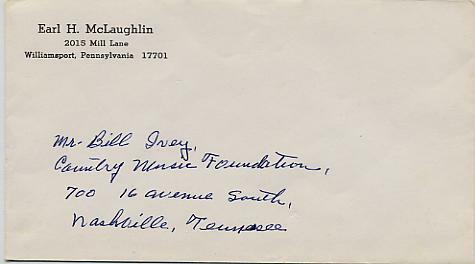 having thought twice, he opened the envelope and threw the letter away. Earl never pursued having the guitar converted to Spanish style.